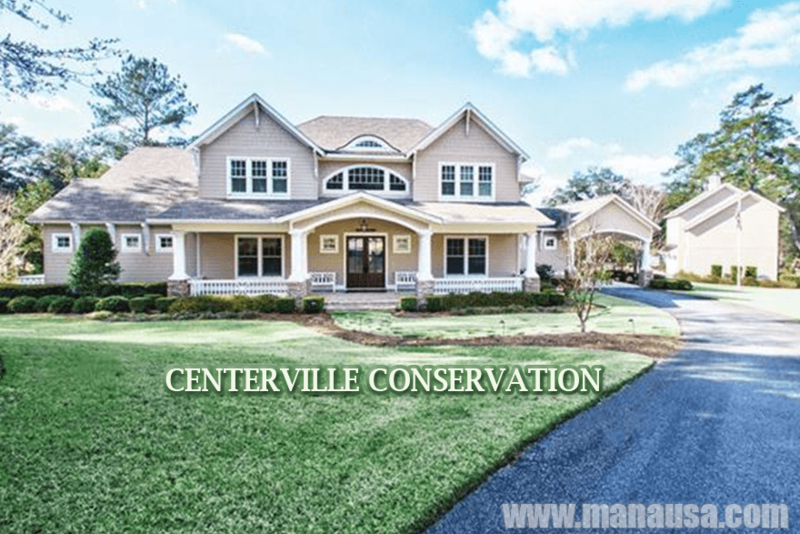 Centerville (aka Centerville Conservation) is a high end gated community in Northeast Tallahassee. If Tallahassee were to have a "Pinterest neighborhood," this would be it. Featuring large homes on large homesites with all the trendiest amenities, Centerville Conservation is drawing the top end buyers at an amazing rate. If you want to know what the latest interior fashions are in housing, just go visit a home in Centerville Conservation! 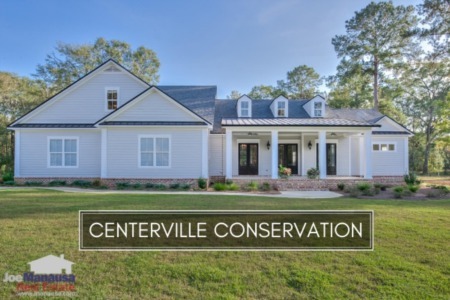 Ultimately, there will be just under 200 homes built in Centerville Conservation on lots range from 1 to nearly 3 acres, all surrounding by several hundred acres of conservation land. Much like we wrote about Moore Pond in a previous report, the range in size, style, and amenities is broad. This is why you will large fluctuations in value and price over time (low liquidity plus high contrast). Additionally, with most of the recent sales being new construction, many of the "prices" being reported do not include the land and sometimes part of the construction. This means this report is more of a foundation for activity in Centerville right now, as well as a list of what has sold and what is currently for sale today. The following report includes graphs of average home prices, home values, and home sizes in Centerville, as well as all current listings in the Tallahassee MLS and all closed home sales in Centerville going back to 2008, when the first sale was recorded. It is important to note that the narrative contained below is for sales through December for all previous years, and through the fourth week of July in 2016. The listings, graphs and closed sales table will be continuously updated into the future (meaning bookmark this page if you always want to know the current status of homes in Centerville). The average price of a home sold in Centerville thus far in 2016 has been $616,700, two of which are new construction and might not accurately reflect the total cost of the homes. Home sales activity for Centerville is on pace to have an incredibly strong year when you consider the segment of the Tallahassee housing market it satisfies. Eight homes have already sold, and only one "ready to occupy" home is on the market (and a few new construction projects are offered as well), so it is not likely we'll see a record set. Homeowners should be happy to know that homes that are actively marketed and priced correctly are getting sold. Average home values in Centerville thus far in 2016 have been $188 per square foot, also likely skewed due to missing data as referenced above. As mentioned earlier in this report, the low liquidity and varying land and home sizes coupled with new construction contracts make valuations highly sketchy and require much further analysis on the ground (which we can do). The average home size sold in Centerville typically falls in a range of 3,000 to over 5,000 square feet, and this year appears to be no different. The 8 home sales in 2016 have averaged 3,286 square feet. 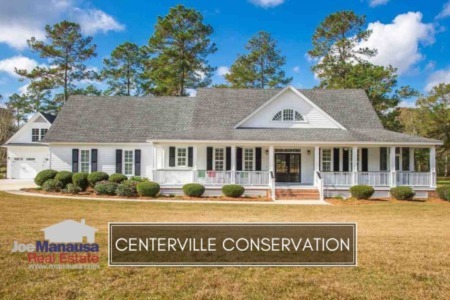 The following map and list of homes are the most recent listings in Centerville Conservation. We update this list of homes every 15 minutes, so you can be assured that this page will always bring you the most up-to-date listings and sales that can be found for Centerville (bookmark this page if this is a neighborhood that you want to track). The following list contains all home sales in Centerville Conservation going back to 2008. I hope you enjoyed our July 2016 update on home sales in Centerville Conservation, please feel free to drop me a note if you have questions not covered in this report.